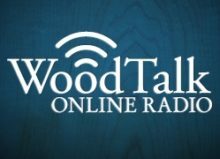 For all of you in the audience that have ever written in and said “I love Wood Talk Online, I just wish you guys would do more of it!” have I got news for you! From now on Marc, Shannon and myself will be recording every Wednesday evening! Of course there may be weeks when we need to readjust the schedule a bit, but for the most part, you can expect the show to arrive on a weekly basis. You can catch up on past episodes at WoodTalkShow.com or you can subscribe in iTunes or to the regular RSS feed. When Marc and I started Wood Talk we never had any idea it would be this popular. It was always a side project for us to justify getting together and nerding out as only woodworkers can. With the addition of Shannon we knew the show was complete and it was just a matter of time before we took it to that next step as we’re doing right now. All good suggestions! Thanks for listening. Great news. I look forward to this. Now back in my Redondo Beach home … wishing I would be here two weeks ago. Lots of unpacking and cleaning up after two months in Colorado. Great news! Im glad its going to more episodes rather than less. Thanks again for your time with this podcast. Its great to listen to while driving to / from work. Be careful what you wish for CHORTLE!! !